The Poolesville Cluster is western most part of Montgomery County in the Agricultural Preserve and is bordered by Frederick County to the west, and the Clarksburg Cluster and Northwest Cluster to the east. Poolesville High School is home to three application-based academic magnet programs: Global Ecology House, Science, Math & Computer Science Magnet, and the Humanities House. Poolesville HS is home to a county magnet program which could elevate overall school test scores. 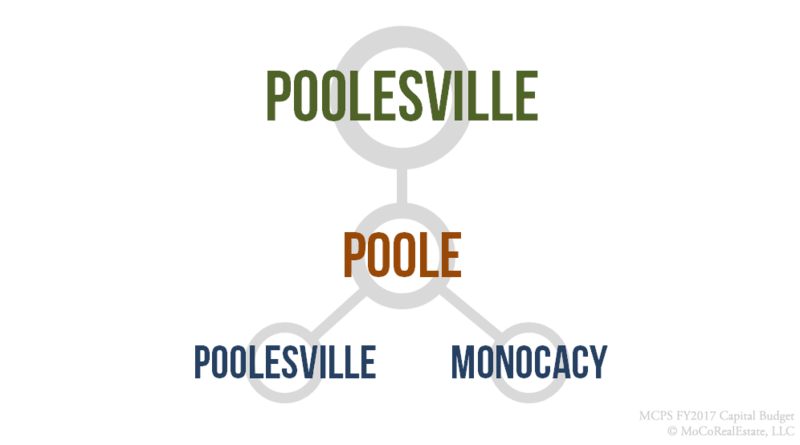 The median home price in the Poolesville Cluster is around $430,000 making it a moderately affordable cluster in Montgomery County. See all homes for sale and homes by price break in the Poolesville Cluster below. Always verify a home's school assignment directly with MCPS.